SPEED-BEND Synchronized Hydraulic Press Brake - G & W Machinery Sales, Inc. 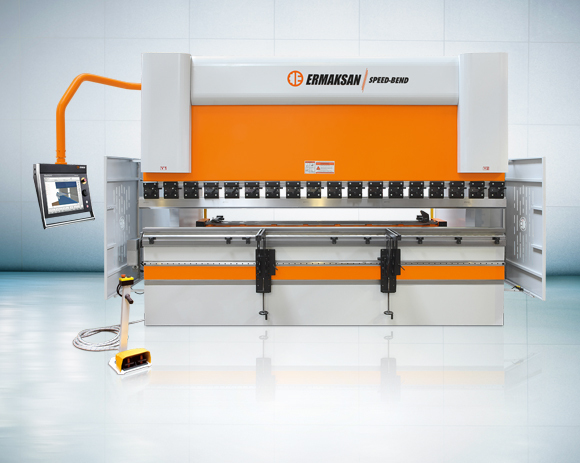 Free-fall, bending and return speeds of Speed-Bend press brakes series makes it the best choice to meet demands in today’s competitive markets. 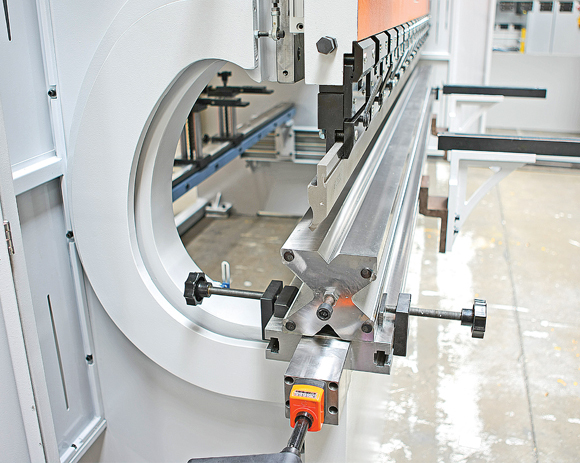 Speed-Bend series offers twice as fast production capacity compared to conventional CNC press brakes. Standard graphic controllers can be selected from: ER-90 Plus 3D colour graphical touch screen controller with offline software, Cybelec ModEva 15T 3D colour graphics with PC-ModEva offline software, Delem DA-66T 2D with colored graphics. Electrical panel with cooling system designed to meet CE standards and composed of automation and electrical equipment with SIEMENS branding. Foot pedal suitable to CE regulation. Graphical controllers; Cybelec ModEva RA Premium 3D with PC-RA Premium offline software, Delem DA-69T 3D graphical color controller with Profile T3D offline software. X1+X2 axis, R1+R2 axis. Laser protection system for die area, LASERSAFE PCSS, AKAS LASER SAFETY IILC2000, AKAS LASER SAFETY IILC2000 (MOTORIZED), sick V 4000 (camera based system), DSP photo electric laser safety. Laser angle measurement system, with Data-M cobra Laser check system. Hydraulic and Dynamic-Hydraulic anti-deflection (crowning) features. ERMAK Pneumatic top tool clamping system. Hydraulic top and bottom tool clamping system. CNC controlled bending supports (AP3+AP4 axis). Hydraulic oil coolant and oil heaters. Special throat depth (500,600,750 mm and above).